Your patient* is a 60 y/o male with refractory AML, admitted with pneumonia. He is on broad spectrum anti-microbial therapy, including anti-fungal therapy, and has been stable since admission. Your team have been consulted to assist with pain management. His pain is pleuritic in nature, exacerbated by “twisting” or movements that involve change in position of his chest wall. It is not constant, and he has periods of time with no pain whatsoever, as long as he remains fairly still in his upper body. He has no other chronic or long-lasting pain issues. His primary team has written for him to have oxycodone immediate-release 10mg by mouth, which he is using 5-7 times a day, as well as hydromorphone 1 mg IV, which he is using 5-7 time daily in addition to the oxycodone. You round on the patient over the weekend. As he does not have continuous or chronic pain, you decide not to add a long acting agent. You transition him to a single-opioid regimen of hydromorphone IV or PO as he felt the hydromorphone was more effective than the oxycodone. You also opt to add dexamethasone 4mg by mouth daily, starting on Saturday morning, as an adjuvant for pain control. The primary team agrees with your plan for a brief, 2 day course of dexamethasone. By Sunday afternoon, your patient reports he had little to no pain, was able to now walk 10 laps around the unit, and required only 2 doses of PO hydromorphone in the past 24 hours. In discussion with your colleagues at Monday morning handoff, one of your partners raises a concern about the use of a steroid in a patient with an active infection and an immune system already compromised by AML. Although you have frequently utilized steroids as an adjuvant for pain control as well as in the management of a multitude of other symptoms, and have done so with the blessing of the primary physicians, you find yourself now wondering if the concern over immunosuppression ought to be of greater concern to you. To the literature we go! Not surprisingly, upon research of this topic there is no literature that directly addresses this clinical question. Let’s look at what we can find, though. Use of glucocorticoids (we will henceforth simply use the term “steroids”) in the management of severe infections has been well documented in literature. It continues to be recommended for patients with severe septic shock, especially when hypotension is refractory to adequate fluid resuscitation and vasopressor treatment1. There are also several studies, including multiple meta-analyses2 and a fairly recent randomized control trial that actually show an advantage in the concomitant use of steroids in managing community acquired pneumonia3. In what may be the most similar scenario to your patient in terms of anticipated duration of steroid use, a literature review of use of single dose steroid to prevent post-op nausea and vomiting and risk of infection/delayed wound healing did not find increased occurrence of infection across multiple included studies4. Although there is no definitive, absolute proof that use of dexamethasone as an adjuvant agent for symptom management does not confer a potential increased risk of infection, we do have literature indicating that steroids are used to help manage and treat certain infections, and that there has not been evidence of increased new infections when used in a single dose post-operatively. The clinical take away here is that it okay to consider the use of a steroid, especially in a low dose for a short period of time, in managing pain of an inflammatory etiology (such as pleurisy), and when compared to the potential risks of other pain management strategies such as systemic opioids. Emily Riegel, MD, is a Med/Peds Palliative Care Physician at the University of Kansas Health System. Casserly B, Gerlach H, Phillips GS, et al. Low-dose steroids in adult septic shock: results of the Surviving Sepsis Campaign. Intensive Care Medicine. 2012;38(12):1946-1954. doi:10.1007/s00134-012-2720-z. Nie W, Zhang Y, Cheng J, Xiu Q. Corticosteroids in the Treatment of Community-Acquired Pneumonia in Adults: A Meta-Analysis. PLoS ONE. 2012;7(10). doi:10.1371/journal.pone.0047926. Torres A, Ferrer M. What’s new in severe community-acquired pneumonia? Corticosteroids as adjunctive treatment to antibiotics. Intensive Care Med Intensive Care Medicine. 2015;42(8):1276-1278. doi:10.1007/s00134-015-4042-4. *Pallimed Case Conference Disclaimer: This post is not intended to substitute good individualized clinical judgement or replace a physician-patient relationship. The case and discussion is published as a means to illustrate important teaching points in healthcare. Patient details may have been changed by Pallimed editors to ensnure anonymity. Links and minor edits are made for clarity and Pallimed editorial standards. When the senior minister of Old South Church in Boston, Massachusetts, Rev. Dr. Nancy Taylor, began her sermon one Sunday morning she raised a lot of eyebrows. “Mary,” she began, “you are going to die.” She started pointing out people in the church and telling them that they are going to die. Young and old, men and women, she called out congregants by name and reminded them that death is not a dirty secret; it’s a fact of life. Her sermon continued, weaving in humor to diffuse the tension and ultimately generating chuckles and nods of understanding from the crowd. The idea for this sermon was inspired by The Conversation Project, a nonprofit organization with the mission to ensure that everyone’s wishes for end-of-life care are expressed and respected. Founded by Pulitzer Prize winning journalist, Ellen Goodman, The Conversation Project reaches out to people where they live, work, pray and gather, to encourage values-led conversations about a topic that touches every human life: how we want to be cared for in our final days. While 90 percent of Americans say they believe they should talk about their wishes for care, only 30 percent actually do it. Health care providers increasingly are recognizing the influence community clergy have on health care decision making. Reaching out and inviting clergy into conversation with palliative care teams and asking them to preach on the importance of expressing one’s wishes for care at the end of life may lead to more of our wishes being respected. Rev. Scott Johnson, a chaplain with the Advanced Illness Management team St. Charles Health System in Bend, Oregon made the connection. “We aim to support people to have the courage and compassion to talk about living as well as dying. Faith communities that advocate these conversations are our partners in health. They can help people understand that these critical conversations are about what matters about living.” That perspective is what motivated Johnson to invite dozens of clergy and lay leaders to a lunch and learn event about St. Charles’ palliative care services and The Conversation Project. 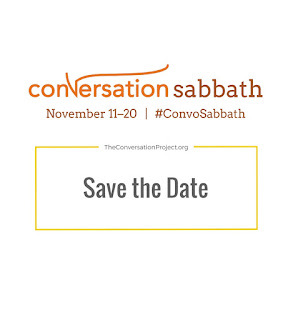 Recognizing that congregations are ready-made communities where people address challenging topics, The Conversation Project is spreading its faith-engagement campaign, Conversation Sabbath, November 11-20, 2016. The simple idea is to invite clergy to preach or teach on the vital importance of having critical conversations about one’s wishes of end-of-life care, and sharing them with loved ones and clinicians. We’re reaching out to clergy through a national network of allies from California to Virginia, Texas to Wisconsin, because we think that hearing a supportive message from their religious leaders will motivate people to break the ice and engage in meaningful exchanges about what kind of care they would want in the event that they cannot speak for themselves. Imagine more people having The Conversation sooner rather than later, in a familiar setting like around the kitchen table instead of waiting until there is medical crisis in the ICU. The Conversation Sabbath campaign was launched last year in Greater Boston where more than 30 area clergy gave sermons on the importance of having these crucial and tender conversations. Some congregations hosted book discussion groups. Others offered workshops and distributed the Conversation Starter Kit, a free, downloadable step-by-step guide that helps people have The Conversation about their preferences for end-of-life care. “Community clergy who preach during Conversation Sabbath—or any time of year—about the importance of talking about the kind of care they want—or don’t want--will create a ripple effect, helping make these more natural conversations to have throughout the life cycle,” notes Rev. Johnson. Clergy see too often how avoiding these conversations can leave family members in the dark or cause arguments and strife at the bedside. That is one of the reasons Rabbi Neil Hirsch of Hevreh, a reform synagogue in the Southern Berkshires of Massachusetts, has brought this topic to his synagogue. “We tend to have an increasing awareness of our mortality as we age, or of the generation ahead of us. But it is a powerful spiritual awareness to cultivate at any age.” Through his partnership with The Conversation Project, he has made sure that he has clarity around his parent’s wishes for end-of-life care, as well as his own. “We don’t have to speak in euphemisms about something so natural and inevitable,” says Rabbi Hirsch. “Death can be addressed thoughtfully and inspire people to live more fully in the moment.” He says this topic is important to Hevreh’s congregants because so many are caregivers for parents and loved ones. Suheil Laher, an Islamic scholar and a former Muslim Chaplain at MIT says that having conversations is a way to prepare for the end of life. While modern medical culture has moved death out of view, the teachings of Allah inspire thinking about and preparing for death, spiritually and realistically. To date nearly 300,000 people, from all 50 states and 176 countries, have downloaded The Conversation Project’s starter kit and more than 500,000 people have visited The Conversation Project website since its 2012 launch. 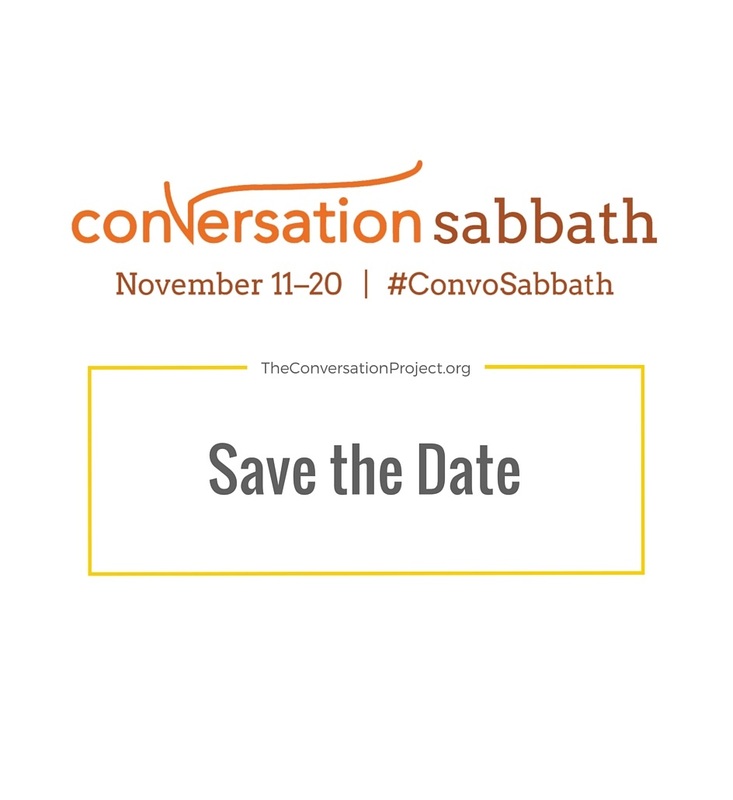 For more information visit theconversationproject.org or register for Conversation Sabbath. 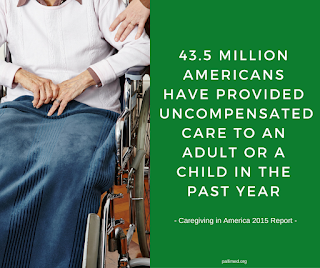 According to the Caregiving in the US 2015 research report (PDF) conducted by the National Alliance for Caregiving (NAC) and American Association of Retired Persons (AARP), 43.5 million adults in the US have provided uncompensated care to an adult or a child in the past year. 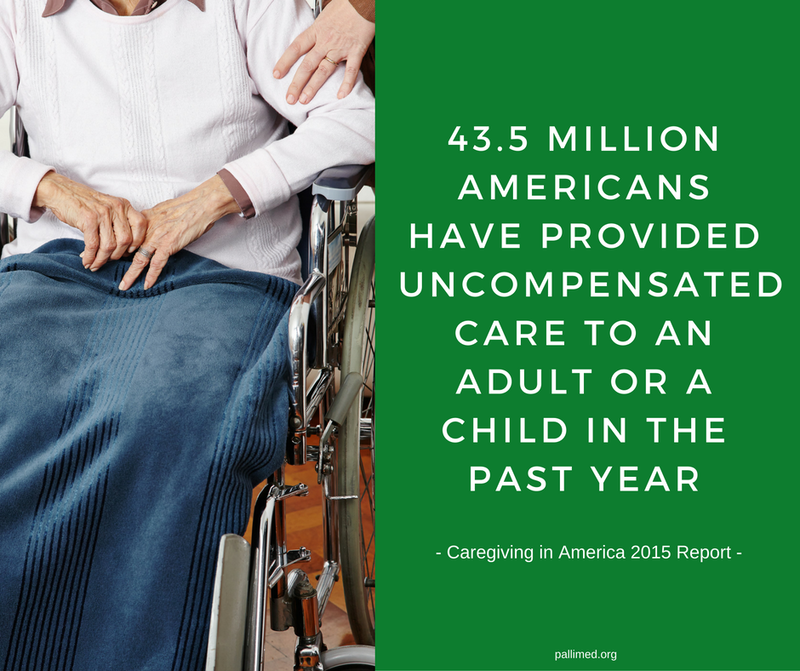 The same report found caregivers provide on average 24.4 hours per week of support to their family member. Spouses were found to provide on average 44.6 hours per week and almost 25% of caregivers provide 41 hours per week. Caregivers refers to family members who provide ongoing continuous care, typically without any compensation, for those with serious health issues such as cancer. Family caregivers provide significant support to patients which includes but is not limited to physical, psychological, spiritual, and emotional support as well as communicating with health providers, treatment monitoring, administering drugs and medical treatments, and advocating for their loved ones (Caregiving in the U.S., 2015). Caregiver distress results when caregivers have overwhelming demands and unmet needs, coupled with other stressors such as feeling isolated, feeling burdened, financial strains, negative emotions, and work loss. A positive correlation has been reported between cancer patients’ and their respective caregivers’ distress (Hodges, Humphries, Macfarlane, 2005). Caregivers are at risk in developing both depression and anxiety as well as consequences to their own health (Nipp, El-Jawahri, Fishbein, et al., 2016; Palos, Mendoza, Liao, et al., 2011). Caregiver distress is associated with: being female, younger age, being the spouse of patients, lower social economic status, employed, and lacking personal and social support (Kim, Given, 2008). In the spirit of family centered care, recent attention has focused on directly identifying and providing support for caregivers in addition to patients as part of standard care. Palliative care professionals have improved symptom management and quality of life for patients and have intuitively included patient’s families and caregivers. Palliative care has been associated with improved caregiver well-being, family satisfaction, and physical and psychological symptom management for patients and caregivers. Early palliative care with newly diagnosed lung and GI cancers showed improved depression and quality of life in caregivers (El-Jawahri, Jackson, Greer, et. al., 2016). 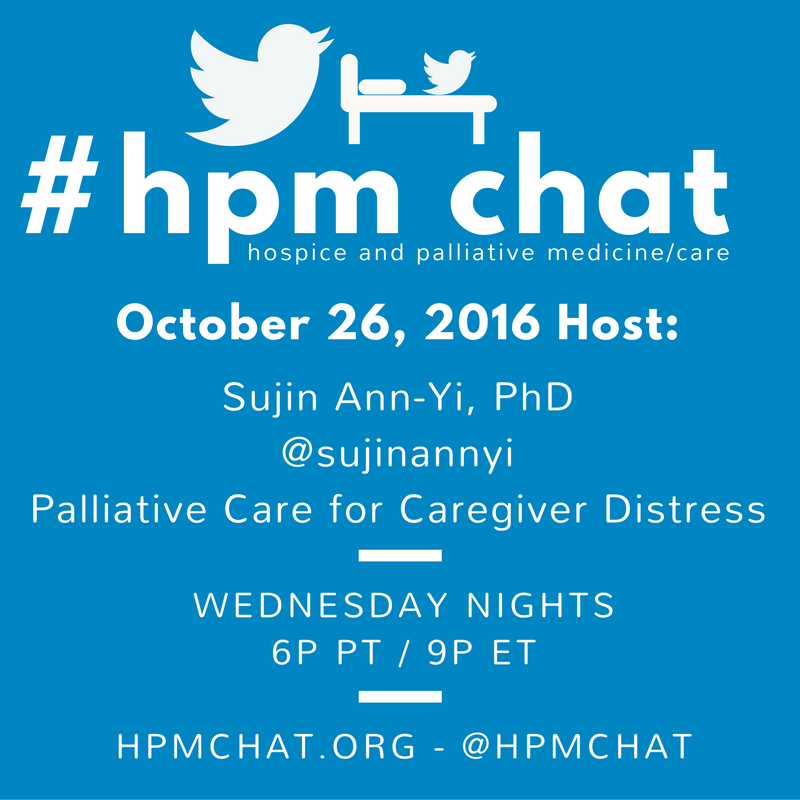 Please join me @sujinannyi for our #hpm tweetchat to further discuss how palliative care professionals can play an instrumental role in identifying and addressing caregiver distress. T1: Do your respective organizations currently either formally or informally assess for caregiver distress? If so, what is the process and what tools do you use if any? T2: What services or resources are offered for caregivers at your respective organizations? T3: What are some barriers for providing intervention and support for caregivers in your respective organizations? 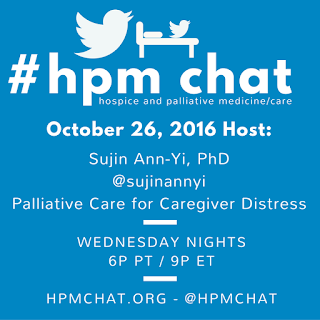 Sujin Ann-Yi, LMFT, PhD is a palliative clinical psychologist from MD Anderson Cancer Center and is hosting her first #hpm chat. El-Jawahri, A., Jackson, V.A., Greer, J.A., Pirl, W.F., Park, E.R., Back, A., Muzikansky,A., Kamdar, M., Rinadldi, S., Jacobson, J., Fishbein, J., Eusebio, J., VanDusen, H., Nipp, R.D., Ryan, D.P., Temel, J.S. (2016). Effect of early integrated palliative care on family caregivers outcomes for patients with gastrointestinal and lung cancer. Journal of Clinical Oncology, 2016 Palliative Care in Oncology Symposium, 34, 234. Hodges, L. J., Humphris, G.M., Macfarlane, G. (2005). A meta-analytic investigation of the relationship between the psychological distress of cancer patients and their carers. Social Science & Medicine, 60, 1-12. Kim, Y. and Given, B.A. (2008). Quality of life of family caregivers of cancer survivors. Cancer, 112, 2556-2568. Nipp, R.D., El-Jawahri, A., Fishbein, J.N., Gallagher, E.R., Stagl, J.M., Park, E.R., Jackson, V.A., Pirl, W.F., Greer, J.A.,Temel, J.S. (2016). Factors associated with depression and anxiety symptoms in family caregivers of patients with incurable cancer. Annals of Oncology, 27, 1607-1612. Palos, G.R., Mendoza, T.R., Liao, K.P., Anderson, K.O., Garcia-Gonzalez, A., Hahn, K., Nazario, A., Ramondetta, L.M., Valero, V., Lynch, G.R., Jibaja-Weiss, M.L., Cleeland, C.S. (2011).Caregiver symptom burden: the risk of caring for an underserviced patient with advanced cancer. Cancer, 117, 1070-1079. It's a relatively new phenomenon: With advances in prenatal testing, some parents who are happily anticipating the birth of their baby instead receive the devastating news that their baby is expected to die. Then what? Often, the default recommendation is to terminate the pregnancy and try again. A growing number of parents prefer to continue their pregnancies and embrace their babies' lives for however long they might last, even if that time is only before birth. But a distressing number of these parents report feeling abandoned by their caregivers and even chastised and criticized for choosing this path. In response to the needs of parents like this, a new model of care has been quietly growing. First proposed in the medical literature in 1997 and then making its debut in the American Journal of Obstetrics and Gynecology in 2001, the concept was dubbed perinatal hospice. It integrates the philosophy and expertise of hospice and palliative care with best practices in perinatal bereavement care for miscarriage, stillbirth, or infant death. Perinatal hospice is not a place. It is an extra layer of multidisciplinary support that can easily be incorporated into standard pregnancy and birth care. This support begins at the time of a life-limiting prenatal diagnosis and continues throughout the remainder of the pregnancy and the baby's birth, life, and death. It can be thought of as "hospice in the womb" (including birth planning, preliminary medical decision-making before the baby is born, and support for anticipatory grief) as well as more traditional hospice and palliative care at home after birth (if the baby lives longer than a few minutes or hours). It includes essential newborn care such as warmth, comfort, and nutrition. Rather than "doing nothing," perinatal hospice is an extraordinary form of physical and emotional care that honors the baby as well as the family. As the concept of perinatal hospice has spread, and as palliative care has become a medical subspecialty in its own right, this concept has also come to be called perinatal palliative care. Like palliative care for adults, perinatal palliative care is not limited to end-of-life care and can include medical treatments intended to improve the baby's life. This is especially important for life-limiting conditions such as Trisomy 13 or Trisomy 18 that are often dismissed as "incompatible with life," a "lethal diagnosis," or a "fatal fetal abnormality," but for which extended survival is possible. Perinatal palliative care allows these babies to lead the way. For many parents, even a life that lasts only a few minutes after birth is profoundly meaningful. In addition, for parents who are given a stark choice between termination or aggressive medical intervention that would be unduly burdensome to the baby, perinatal palliative care offers a third way. This innovative and compassionate model of care aligns well with core principles of palliative care, including these from the World Health Organization: Palliative care "affirms life and regards dying as a normal process" and "intends neither to hasten or postpone death." As one Australian neonatologist and bioethicist wrote, "We are now reaching palliative care's final frontier — the needs of infants and foetuses who are dying before they have even been born." This concept not only draws upon the field of hospice and palliative care, it incorporates advances in perinatal bereavement care that also have developed over the last few decades. For many years, the death of a baby was considered taboo. Parents were forbidden from even seeing a newborn who was stillborn or dying and were told to "forget about it" and have another one. Babies' bodies often were disposed of as medical waste. Although caregivers may have been motivated by compassion, in hopes of protecting parents (and perhaps themselves) from emotional pain, some parents eventually stepped forward to say that this pretend-it-never-happened approach was deeply damaging. Together with caregivers, they worked together to develop practices that would foster healthier grief. Many hospitals have now adopted best practices for perinatal bereavement care, including encouraging parents to see and hold their baby if they wish; assisting parents in collecting keepsakes such as footprints and photographs; providing respectful care of the baby's body after death; and acknowledging the baby as a unique and irreplaceable child. Since the concept was proposed two decades ago, perinatal hospice and palliative care has had exponential growth. More than 280 support programs in the U.S. and around the world are now listed at perinatalhospice.org, the website I founded in 2006. Protocols and training have been developed. Growing numbers of parents are choosing to continue their pregnancies when perinatal hospice care is offered—in one study, as high as 85 percent. New prenatal testing practice guidelines from the American College of Obstetricians and Gynecologists and the Society for Maternal-Fetal Medicine recommend that post-diagnosis counseling for parents should include the option of perinatal palliative care. And according to a literature review published in the Journal of Obstetric, Gynecologic, and Neonatal Nursing, "The science suggests that perinatal palliative care is welcomed by parents and is a medically safe and viable option." In the words of another mother, "By giving my son the protection of my body to face the announced death, I was giving him life, all of his life, so that it would be recorded in our family, in all of our history, and in the hearts of each of us. It wasn’t a morbid walk but a formidable surge of love." T1 - Are perinatal hospice/palliative care services available at your institution/agency, or in your area? 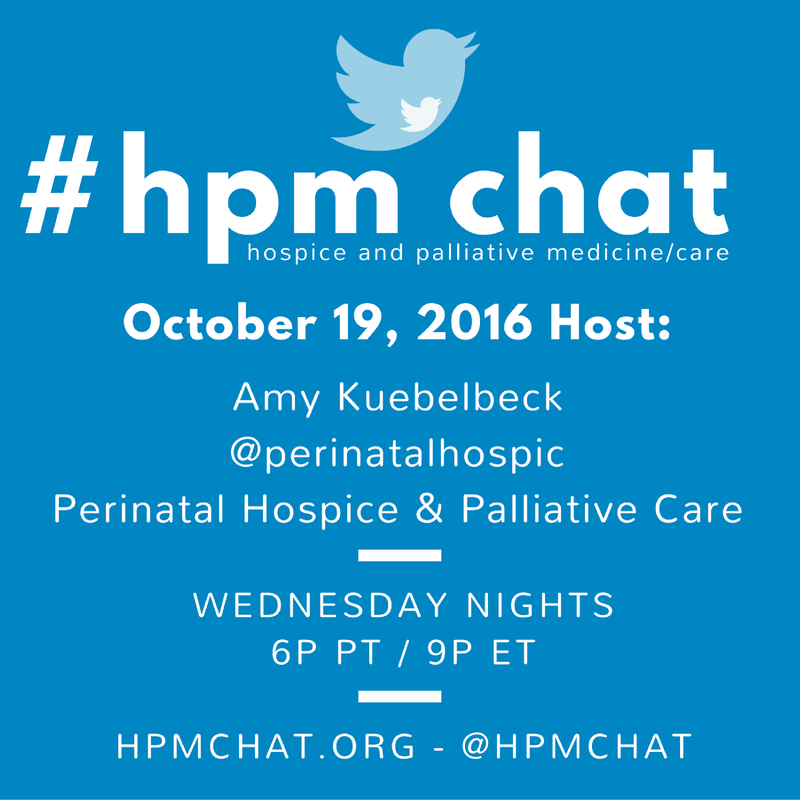 T2 - What barriers do you see to providing perinatal hospice/palliative care services? What tools would be most useful to overcome those? 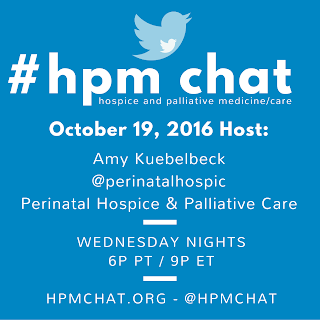 T3 - What strengths do #hpm professionals bring to the care of seriously ill babies both before and after birth? What would you like to see happen in this field next? Amy Kuebelbeck, MA, a former reporter and editor for The Associated Press and other news organizations, is lead author of A Gift of Time: Continuing Your Pregnancy When Your Baby's Life Is Expected to Be Brief (Johns Hopkins University Press, 2011.) She can be reached on Twitter at @PerinatalHospic. Sumner LH. Taking Palliative Care into Pregnancy and Perinatal Loss. National Perinatal Association Bulletin. 2004 Fall; 5(2). Kuebelbeck A. and Davis DL. A Gift of Time: Continuing Your Pregnancy When Your Baby's Life Is Expected to Be Brief (Johns Hopkins University Press, 2011), p. 23. Calhoun BC, Hoeldtke NJ, Hinson RM, Judge KM. Perinatal hospice: should all centers have this service? Neonatal Netw. 1997 Sep;16(6):101-2. Hoeldtke NJ, Calhoun BC. Perinatal hospice. Am J Obstet Gynecol. 2001 Sep;185(3):525-9. Linebarger J. Trisomy 13 and 18: When a lethal condition is no longer lethal. 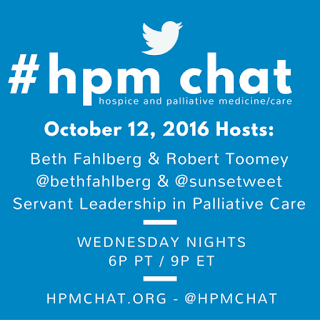 Pallimed: A Hospice & Palliative Medicine Blog, Aug. 15, 2016. Wilkinson D. "We need palliative care for babies facing certain death." The Conversation (Australia), July 15, 2013. See Share Pregnancy & Infant Loss Support, founded in 1977, and Resolve Through Sharing Bereavement Services at Gundersen Health System, founded in 1981. See Now I Lay Me Down to Sleep, an international network of thousands of professional photographers who volunteer to provide grieving families with remembrance photography of their baby, founded in 2005. See also the pioneering work of photographer Todd Hochberg, toddhochberg.com. See the Resources for Caregivers page at perinatalhospice.org. Calhoun BC, Napolitano P, Terry M, Bussey C, Hoeldtke NJ. Perinatal hospice: Comprehensive care for the family of the fetus with a lethal condition. J Reprod Med. 2003 May;48(5):343-8. Wool C. State of the Science on Perinatal Palliative Care. Journal of Obstetric, Gynecologic, and Neonatal Nursing, 2013 May/June; 42(3):372–382. Kuebelbeck and Davis, p. 343. Quotation translated from the book Un enfant pour l’éternité (A Child for Eternity) by Isabelle de Mézerac (Éditions du Rocher, 2004) and used with permission of the author. De Mézerac is the founder of Soins Palliatifs et Accompagnement en Maternité (SPAMA), a support association based in France. Leaders are needed in palliative care who can provide the direction for current and future development. We recently wrote an article on Servant Leadership as a model for emerging Nurse leaders, which got us thinking about how Servant Leadership is a model that is also fitting for palliative care. There are many different models of leadership, yet the Servant Leadership model is particularly appropriate for palliative care. Leadership is something that can be learned. It requires time, attention and mentorship. It is best developed when we have a conceptual model to guide us, such as Servant Leadership. Servant Leadership is a specific leadership philosophy and practice that, in short, is about serving first, then out of a serving approach, choosing to lead. Robert Greenleaf, former AT&T executive, coined the phrase ‘Servant Leadership’ in 1970 although this type of leadership has been around much longer than that.5 Some servant-leaders are people who are not well-known (can you think of quiet servant-leaders around you?). However, there are many other well-known servant-leaders. These include Jesus, Abraham Lincoln, Gandhi, Mother Teresa, Eleanor Roosevelt, Nelson Mandela and the Dalai Lama. In palliative care, we see leaders emerging as they step up to meet needs. Soon, others follow and they find themselves in both formal and informal leadership positions. Rather than leading for power or recognition, they are leading to make a difference, so that those who are most vulnerable will get the care and support that is needed. This is Servant Leadership. ‘Do those served grow as persons? This approach to leadership is consistent with palliative care philosophies and practices, in which we become “healthier, wiser and freer” was we learn to connect with, respect and care for diverse individuals and families, often when they are more vulnerable than ever before. We should encourage and nurture that desire to serve, and find ways to connect these new leaders with the mentors, resources and support to foster their growth. It is particularly important to help them when it gets tough, as the palliative care landscape is fraught with the potential for controversy, ethical dilemmas, moral distress and compassion fatigue. In addition, those skilled in palliative care often find themselves advocating in challenging situations involving their own families and friends. In light of these threats to palliative care leadership, emerging leaders need to be supported as they learn to respond to these challenges constructively, professionally and ethically, while caring for and receiving care for their own needs. Develop and communicate your vision for palliative care, to inspire, motivate and engage others. Listen and learn from those you are leading, so that you can address their needs, values and priorities, just as we do with patients and their families. Give your power to others, but continue to have their backs. Cultivate community through strategic relationships, collaboration, hard work and celebration. As we have described in this article, we believe that Servant Leadership can help new, emerging and even established leaders in the field become more effective, relevant leaders, as they strive to implement the IOM recommendations to promote quality care for patients and families everywhere. T1. What leadership models and practices have been used in palliative care? What has worked? What has backfired, and how? T2. What does “serve” mean to you in the context of palliative care? Who do you serve and how? Can you think of an example when your serving turned into leading? T3. Can you relate to the Servant leadership characteristics and practices? Do you think that this is already being implemented in palliative care? Where could this be implemented more effectively? T4. 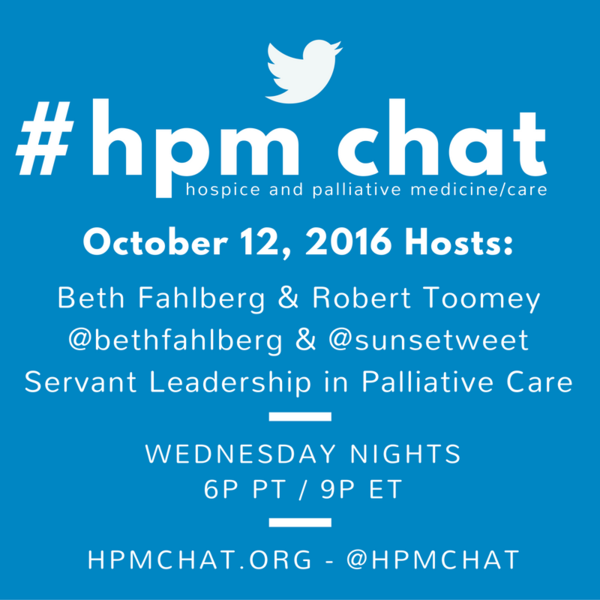 Do you think Servant Leadership can be helpful in promoting palliative care leadership development? Fahlberg BB, Toomey R. Servant leadership : A model for emerging nurse leaders. Nurs 2016. 2016:49-52. Spears LC. Practicing servant-leadership. Lead to Lead. 2004;2004(34):7-12. doi:10.1002/ltl.94. Institute of Medicine. Dying in America Improving Quality and Honoring Individual Preferences Near the End of Life. ; 2014. http://www.iom.edu/Reports/2014/Dying-In-America-Improving-Quality-and-Honoring-Individual-Preferences-Near-the-End-of-Life.aspx. End of Life Nursing Education Consortium. Advancing Leadership in Palliative Care Nursing. 2015. Greenleaf RK. SERVANT LEADERSHIP – A JOURNEY INTO THE NATURE OF LEGITIMATE POWER AND GREATNESS. New York: Paulist Press; 2002. Boone LW, Makhani S. Five necessary attitudes of a servant leader. Rev Bus. 2013:83-97. http://www.stjohns.edu/sites/default/files/documents/Tobin/vol33-num1-winter_2012-2013.pdf#page=85. Beth Fahlberg PhD, RN, CHPN, @bethfahlberg, is the program director for Palliative Care @ UW-Madison Continuing Studies, developing and teaching innovative primary palliative care education for healthcare professionals and Her healthcare expertise includes aging and chronic, advanced, and serious illness, with a specific focus on heart failure palliative care. She has used the servant leadership model for over 20 years to guide her own leadership development, and incorporates it in her palliative care continuing education programs. Robert Toomey, EdD; MA (Servant Leadership), @sunsetweet, directs programs in leadership and management at the University of Wisconsin-Madison, Division of Continuing Studies. He created and directs the Servant Leadership Certificate, a 5-day noncredit professional development program. His doctoral dissertation was about leadership, leader development, and learning environments. Robert and Beth will be collaborating in Spring 2017 to develop and teach a new blended learning continuing education course called Applied Servant Leadership in Nursing and Healthcare. Facebook page: https://www.facebook.com/UWMadCSLMW. Apologies for the “clickbait” title to the blog post; scouring the internet it seems that hyperbole works to get readers’ attention, certainly among entertainment sites and maybe increasingly within presidential politics. But it seems I had little choice; the fifth word of my title is “Quality”, which excites very few people. Bear with me, I promise this will get good. 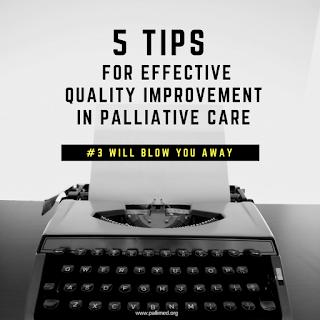 Quality improvement is critical for palliative care organizations to build and sustain success within their clinical missions. Those who are watching and evaluating us, including patients, caregivers, health systems, regulators, and payers, are increasingly expecting a consistent product, delivered in close alignment with our growing evidence base. 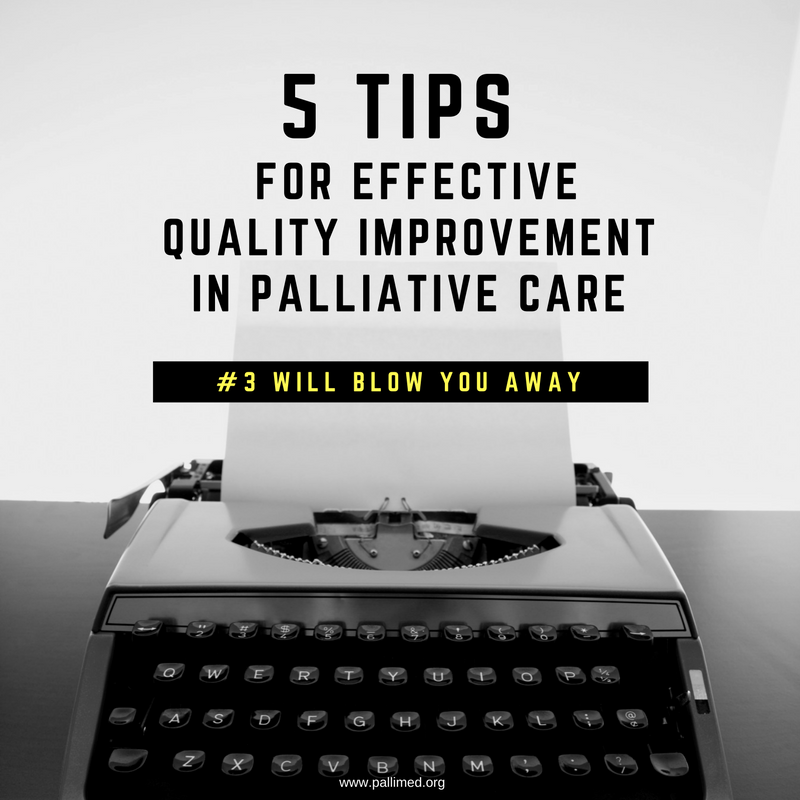 Further, rapid evolutions in the health care delivery and payment ecosystem require palliative care organizations to masterfully deploy quality improvement initiatives to solve problems. This requires a facile understanding of key steps needed to transition from identifying a problem to sustaining the change. I’ve spent much of the past five years working as a Quality Improvement Coach for the American Society of Clinical Oncology’s (ASCO) Quality Training Program and ASCO/AAHPM Virtual Learning Collaborative and have come away with a few pearls that may be helpful. I also highly recommend “The Improvement Guide” by Langley et al., seen by many as the definitive textbook for healthcare quality improvement. Below I offer Five Tips, by no means an exhaustive review, but a decent place to start. Tip #2: Define the problem, again – Quality improvement committees are like family meetings, everyone’s inherently and not unexpectedly on different pages. When starting a quality improvement committee meeting, go around the room and ask everyone what they think the problem is you’re trying to solve. Marvel at the variation, and the “scope creep” and “scope drift” that occur over time. And then insert your excellent family meeting skills to get everyone on the same page. Lack of consensus on the specific problem will sink you. Tip #3: Problem first, solutions (much) later – If your problem statement sounds something like this, “Because of high 30-day readmission rates at our hospital, we need more palliative care” then you’ve put the cart before the horse. All quality improvement starts with a specific, agreed-upon problem – not a solution. Starting a palliative care clinic, growing a palliative care service, applying disease-based triggers for consultation, etc. are all solutions. Implementing your solution is not the point of quality improvement, it’s solving a problem. Our practice is to not speak of solutions until at least the fourth meeting of our quality improvement committee. Tip #4: Have an aim statement. What is the goal of your quality improvement project? Be specific, and think of the Who, What, When, and Where (but not How). For example, “By July 2017 we will decrease the outpatient palliative care clinic no-show rate to 25% at the Mustard Clinic.” You cannot yet know the “How”, because it’s dependent on the “Why”. And you can’t understand the “Why” without exploring the drivers of the problem, and the process by which the problem occurs. Tip #5: Explore the “Why”. Be curious, open-minded, and solicit opinions of all stakeholders. The above fictitious problem of clinic no-show rates is complex, and not easy to solve (or people would have solved it already). If any part of your brain is saying, “Isn’t it obvious, what they need to do is….” then you’re like the 99% of us (very much including me) who must practice exploring the process, and getting input from all stakeholders. I could imagine this committee would solicit input from patients, caregivers, front desk staff, phone triage personnel, appointment schedulers, nurses, physicians, and financial counselors. Can you think of others? Drawing the process from start to finish is also very helpful. How does a patient go from being referred to the clinic to successfully coming? Where are all the places the process could go wrong? What data is needed to quantify the shortfalls? The point here is try not to go down a path of implementing solutions until you’re confident of the problem, have an understanding of where the process is breaking down, and have tailored the solution to that breakdown. I’ll be speaking more about this topic, and will be joined by several other national leaders including Drs. Diane Meier, Steve Pantilat, and Phil Rodgers during the 2nd Annual Palliative Care Quality Matters Conference on October 20th from 12-5PM EST. The Conference is hosted by the Global Palliative Care Quality Alliance (www.gpcqa.org), a multi-site, volunteer collaboration of healthcare organizations with a passion for improving quality in palliative care. 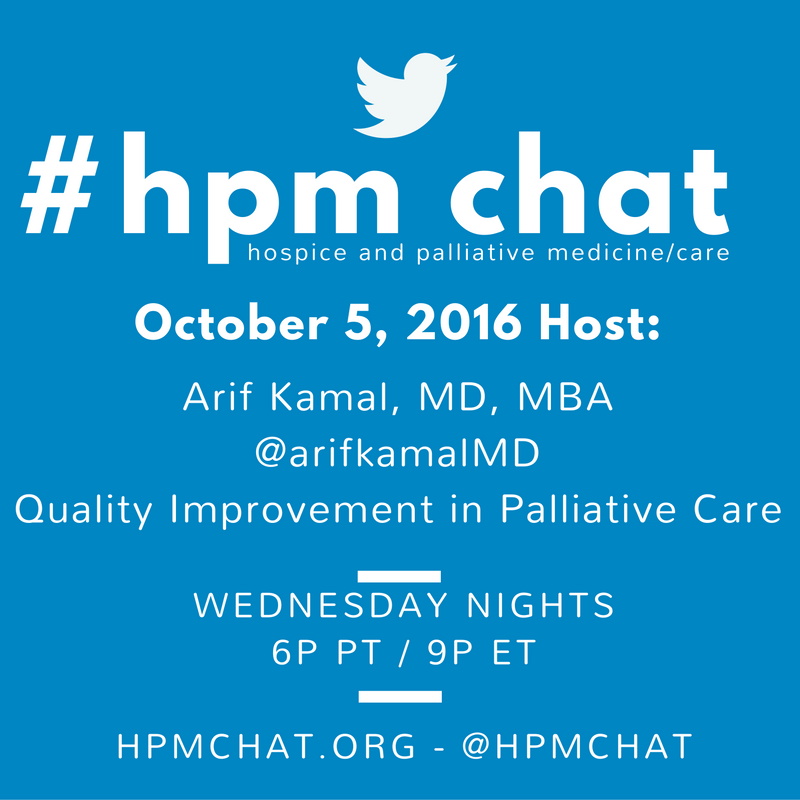 T1: What makes performing quality improvement challenging in palliative care and hospice? T2: Most quality improvement projects don’t work. Name an epic failure you were part of. What did you learn? T3: Change my Top Five to a Top Ten list. What tips could you add? T4: How could we help each other in our field do better quality improvement? What’s the role of AAHPM, HPNA, NHPCO and other membership societies? Arif Kamal MD MBA MHS is the Physician Quality and Outcomes Officer and Assistant Professor of Medicine (Oncology and Palliative Care) at Duke University. He is a diehard Kansas City Chiefs football fan, which has prepared him for discussions regarding futility and complicated grief with his patients.